Get help with written, oral, visual and digital communication projects. Designed for students, faculty and staff in the College of Engineering. What can you do at Presentation U? Storyboarding digital projects, creating ePortfolios, and designing websites. Drop in or schedule an appointment. Peer tutors are upper-division students in the College of Engineering. They offer assistance with homework in EGR and major-related courses. Services are for undergraduate students in the College of Engineering. 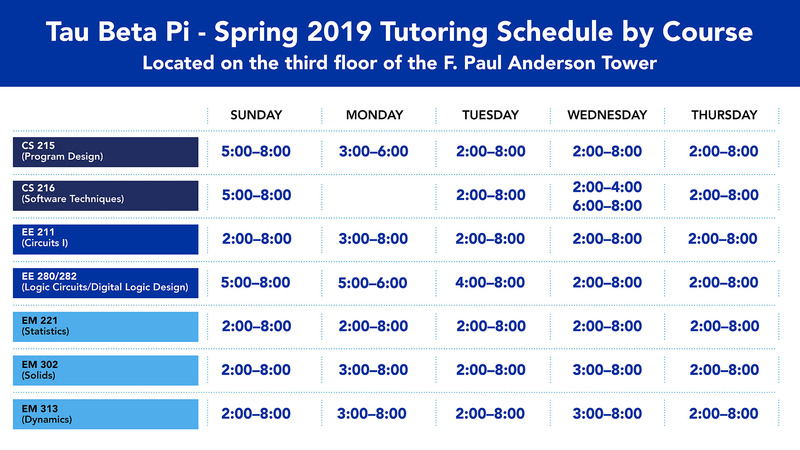 See below for tutoring schedule by major. 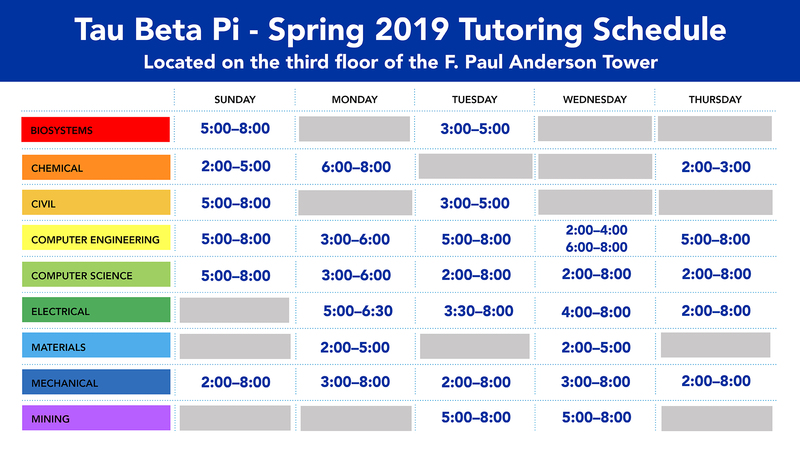 See below for tutoring schedule by course. Presentation U and Tau Beta Pi services are available during Fall and Spring semesters only. Please direct questions or comments to Susan Herrick at (859) 257-4881 or email at slherr1@uky.edu.